Seriously, our women’s Bible study group is going to be digging into the topic of fear this summer. The Bible has a few things to say about being afraid — mostly “be not afraid”. So, is that possible? Can we ever really erase fear from our lives? I need your help, I’m afraid. I mean….I need your assistance, please. If you are reading this, you have been chosen to take part in a little survey. (*Bells, whistles, flashing lights*) Answer these three questions in the comments. You won’t win anything, except my deep appreciation. I’d like to start our study next week with real thoughts from real people (that’s you). Your identity will be protected so be brutally honest, if you’re not too scared. 1. What were you afraid of when you were a child? 2. What fears do you have today? 3. 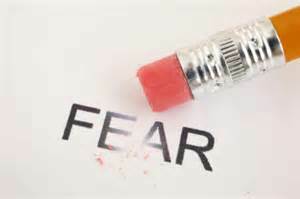 On a scale of 1-10 (1=not much, 10=a whole lot) how much does fear control your life? This entry was posted in Devo Drops and tagged fear, survey. Bookmark the permalink. But less serious, I would say mice!!! Ugh! 3)3 unless there is a mouse in my house then I would say 9! 1) I had a recurring nightmare about a monster that chased me around my friend’s house. I would get about a corner ahead of him and then I would open the door to the basement and run down and hide behind a curtain. My feet would show and when the monster would pull back the curtain, I would wake up. 2) As an adult, I fear something terrible happening to my children. 2) I won’t be able to provide for my kids and myself. 1. Not measuring up to expectations. 2. similar, but fear of failing as a parent to the children entrusted to me. 3. 4-5, but can escalate to 10 if I let small things get to me. As a grade schooler I went to church camp @ Asberry Acres. It was so scary for me. I was too young. I had to sleep in the tents and they put me on the end. Where was the counselor you ask – she was in the middle. The bugs loved the tent. I was so scared and cried and no one saved me or comforted me, finally I couldn’ t stand it I moved my bed to the center isle.Then we played hide and seek in the woods. Where I was hiding was in a road path and I heard a voice coming up from the ground it freaked me out so bad I took off running screaming bloody murder. So I always hated dark scary areas. My fears have changed over the years as a young mother what if my husband leaves me. Also not having nice clothes for the kids. Today I don’t have much except walking to the car in the dark in an unsafe area. 1 is the number I choose.Fear is not much ruling in my life. Since my first reply, I have been further contemplating your questions about fear. Many of the things I initially considered as fears are actually worries. (And I admit that worries tend to eat at me more than they should.) So I went to the dictionary. Fear is a general term for anxiety and agitation felt at the presence of DANGER. Worry is to feel distressed in the mind, to be anxious, troubled, or uneasy. I don’t generally feel in physical danger, so fear itself is not ruling my life. However, my worries do tend to interfere with my life. My biggest worries (perhaps fears?) are connected to my children and grandchildren. Did my parents and grandparents fear for me when I was a child? Probably, but I was completely clueless about it at the time. I do worry/fear for my children/grandchildren — what kind of world will they inherit? Our world seems to be a much more dangerous place than it used to be, perhaps because we know so much more. Perhaps I should be more fearful of not having enough faith….after all, worry can be interpreted as the lack of faith. lack of faith could indeed put me in danger! Would I have enough faith to face the lions in the den? To face a giant with a slingshot? To walk on water? So much to think about…. I fear I do not have the answers. That’s worrisome! Wow! So many insights from all of you. Thank you for your honesty and thought provoking words. Feel free to continue the conversation. Much more will be coming on this topic! I keep reading over your questions–and try to remember as a child–which seems like a long time ago and have decided it was a long time ago–(1) I think it was being left alone–(2)–I worry or is it fear for my kids and grandkids–their health and all the stuff that goes on in their lives–(3)–I really try and hand it over to God–but somehow I always seem to let fear or worry take over. You know the other day when I was reading the bible it talked about fearing God–do I really?–God is my BEST friend–we talk everyday–(maybe I should listen more often)–I not afraid of God–He has carried my load so often–(when I let Him)–or is it a different type of fear? Sorry about my writing–I was never very good with English–as you can see.